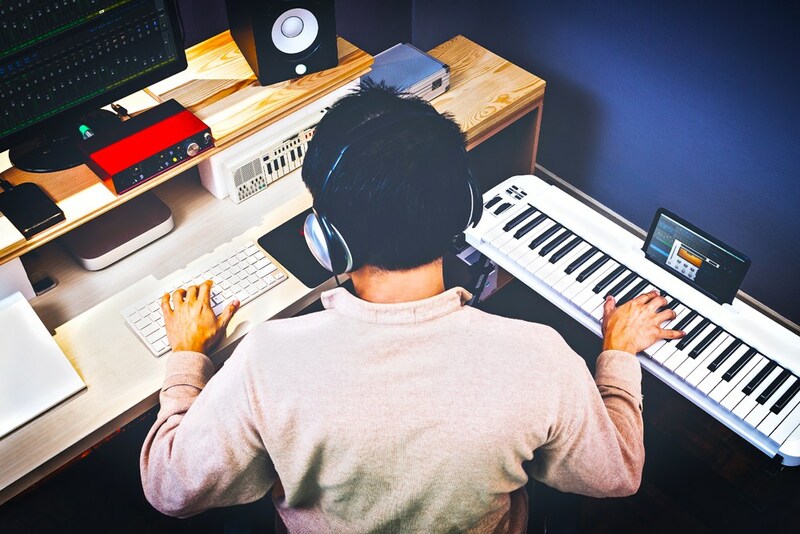 [Expert Advice] Hey, Songwriter: Give Yourself Goosebumps! When you were a kid, did you ever have a sleepover with friends where you told scary stories? You’d convince each other there was a ghost in the attic or a spirit coming through the Ouija board. You’d conjure up frightening things to give you and your friends a rush. Stirring up a cauldron of emotion is also helpful when trying to make magic with your art. For tips on how to tap into these creative emotions again, check out the following tips from a top-selling songwriter and author. She can help you to tap into a flow of energy—your unique passion—to fuel your songwriting. • Look for a situation that gives you a rush, gets your blood pumping or causes butterflies, like meeting an attractive stranger out of the blue. Then write about it. • When you can capture those special moments on the page, you’ll know you’ve got something. When you give yourself goosebumps, you are pretty much assured that you will be giving the listener the same. • It can’t be forced. The Muse is a wayward beast. She has to be seduced to stick around or she’ll flee at the first footfall. Ever hear a song and find yourself turning it up without thinking? Or maybe some strains of music coming from a passing car bring you back to a special place and time? That’s what it’s all about. You want to move your listener to laugh or cry or, best of all, be inspired. • Arousing deep emotion is the ultimate for a songwriter. “The Way We Were” is such a touching, evocative song that it’s been voted one of the top 10 film songs of all time on every list imaginable. It was not only a hit on the radio but had an unforgettable visual connected to it. Every time you hear it, you can picture Barbra Streisand trembling as she meets up with Robert Redford. • Ben Gibbard of Death Cab for Cutie says he wrote “I Will Follow You Into the Dark,” their best-selling single, in 15 minutes. He’s also said he can barely take credit for it because he felt like he channeled it. He tapped into a dark, rarely explored emotional theme about following his lover into the afterlife. And he did it in such a hauntingly beautiful way that it wasn’t morbid; instead it was comforting and enchanting at the same time. • And it doesn’t have to be about love. Other strong feelings, such as anger, can also be a great motivating force. If you deny an emotion, it just springs up anyway, so give it a voice. Channel it into a song. When Phil Collins wrote about a ruthless ex-lover in “Something in the Air Tonight,” he sent his rage into the world like a speeding locomotive. It’s powerful stuff. • Songwriters live for the moment they get struck by the lightning bolt of inspiration. The beauty is that it can come at any time and from anywhere. You’re driving down the street and see an old gent cradling his wife’s hand and you start thinking about that line you had for a ballad. The song starts writing itself and the next thing you know you’re pulling the car over to jot down some words before they slip away. We’re not talking about the craft and hard work of rewriting here, though of course that’s essential. But that’s another article. We are talking about those sacred moments when you’re in the zone, and everything flows. • And while you’re at it, don’t abuse yourself, either. If you start beating yourself up, you’ll be your own worst enemy. Take your mind off your writing so you can come back to it refreshed. Obviously if you have a deadline, you have to work through it. Waiting for the luxury of inspiration to hit isn’t always a viable option. • There are many ways to unwind and replenish your creative juices. Movies allow your brain to rest while rejuvenating you with all sorts of storylines and visuals to stir creativity. • Hiking, walking or working out is another way to boost your energy level. Prolific novelist Charles Dickens walked up to 30 miles a day. He said he would “explode” if he didn’t; it was his way of turning his brain off between bouts of writing. Ludwig van Beethoven was another avid walker. He always carried a pen and paper with him in case an idea struck. • Ernest Hemingway once said you should “let the pressure build” until you have no choice but to write it down. That way, you’re driving with fuel, not running on fumes and forcing the phrases out. Just let that pressure cooker blast off its rocker as words fly onto the page. Whatever it takes to get inspired, do it and do it some more. Your writing—and your listeners—will thank you for it.